Restore SD Plastic Surgery believes in science and our Medical Grade Skin Care products are all backed by real science. Our expert aesthetician, Erin, discusses the reasons to use medical grade products. 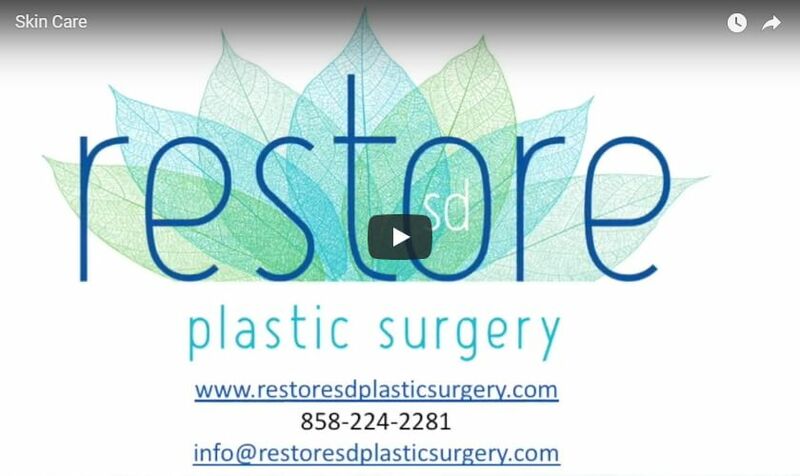 Hi, I’m Erin and I am the Medical Esthetician here at Restore SD Plastic Surgery, and we are going to talk today about professional skin care. We have a couple different lines here in the office. Mainly we use Alastin for post–care and we use ZO Skin Health, and our own brand for your traditional daily use. The biggest difference you’re going to find between professional skin care and over–the–counter, drugstore, department store skin care is that these guys are going to spend much more money on research and development. They have better ingredients and those ingredients have better efficacy. When you’re using over the counter products, they tend to spend more money on marketing and have lower grade ingredients that are going to have less efficacy anyway. If you have any questions about skin care, feel free to give us a call or come see me here at Restore SD Plastic Surgery.